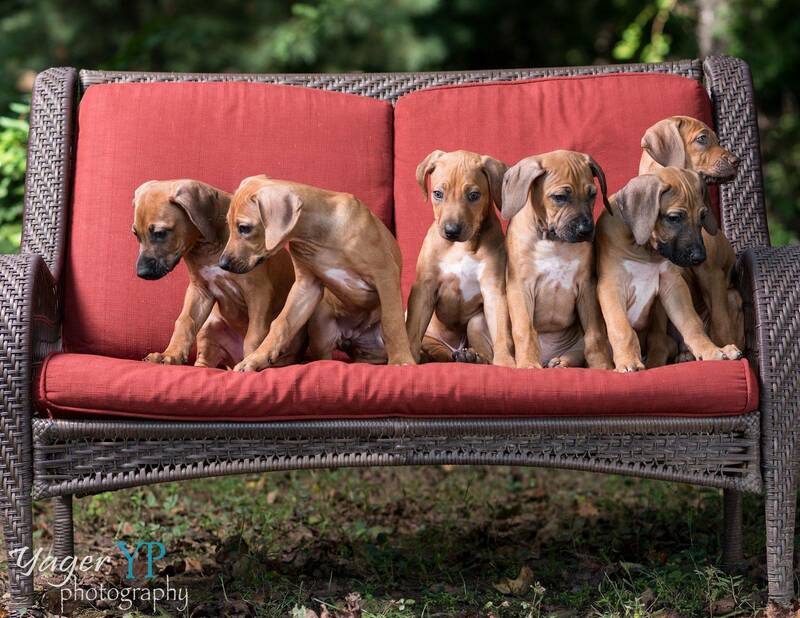 Ridgebacks are overall a pretty clean breed. You will sometimes find them grooming themselves like a cat. They seem to have less odor than other breeds which I believe is attributed to not having an undercoat. However, there are some areas you should pay special attention to. Pour over some cotton facial pads, place into an airtight jar, and store in a cool, dry place. **Remember not to use any ear cleaner if your pets suffer from a ruptured ear drum. One.... they are awful to look at. Two.... When playing with other dogs they can cause great injury to another dog. Three.... They can cause foot or pastern injury. Five.... They will destroy wood floors. If you have one of my puppies, I will call you out if I see your dog has long nails that touch the floor when the dog walks. There is absolutely no reason you should not keep your dogs nails trimmed. Puppies leave my house being accustomed to the dremel, so please follow through and keep your dog's nails short. If you are unable to trim the dog's nails yourself, bring the dog to me and I will do it, or take your dog to the groomer and have them done. There's no reason for terribly long nails. Like I said above, Ridgebacks are fairly low odor. Giving a bath once a week will dry their coat and skin out. I bathe my dogs once every couple of months, or if they get into some smelly mud while trail hiking. I also bathe before going to a dog show. I use either a home made soap (Dr. Bronner's Lavender Castile soap/Organic Oat flour/Water) or a soap that has minimal ingredients such as Dirty and Hairy Outdoor. In between baths I use a clean damp terry towel to wipe the dogs down and this keeps them fairly odor free and removes any contaminants from the coat. Even though Ridgebacks have short hair, they still do shed. There's no need to invest in a lot of grooming equipment. I use an equine facial brush and shedding block for when they are seasonally shedding. They get a brush down when I do nails every week to ten days. During shedding, I use the equine shedding block (found on Amazon or Tractor Supply Company) to pull out some of the dead hairs. I'll run over them with a clean, damp, terry towel and that's pretty much it.